This blog will give you all you want to know about Chandler Active Adult homes for sale. Active Adult Communities are also known as 55+ communities. However, in most cases a buyer can be 40+ as long as no one under the age of 19 lives permanently in the home. Ask us for more details on age restrictions. The service area below includes Chandler, Gilbert and Sun Lakes, AZ homes for sale in the East Valley of the Phoenix area. The East Valley is convenient to all major airports, freeways and shopping. The Chandler Active Adult homes for sale in this blog include Solera, Springfield, Springfield Lakes, Sunbird and Sun Lakes. Sun Lakes borders Chandler. 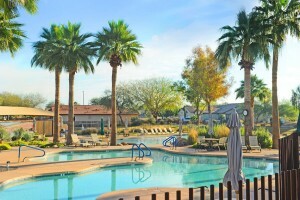 The Kolb Team and ReMax Infinity specialize in active adult retirement communities in Chandler, Gilbert and Sun Lakes. The map below will give you detail on the service area including Chandler active adult homes. Gilbert is to the east of Chandler and Sun Lakes border Chandler to the west. See some of the Chandler Active Adult homes for sale below. For more information about the Active Adult Communities in Chandler, Gilbert and Sun Lakes Arizona see our community video below. Call the Kolb Team at 480-440-0849 for information on any active adult community in Chandler, Gilbert or Sun Lakes, Arizona.